I cannot wait for this movie. Been excited since Villeneuve first said he wanted to make it Star Wars for adults but the way this cast is shaping up, it could be something really special. 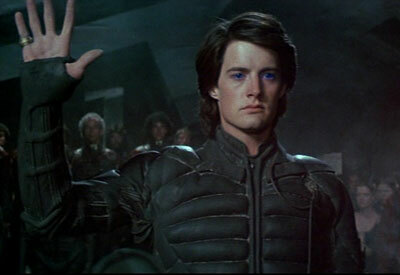 Wait...are you talking about Frank Herbert's Dune? Yes! I are. I mentioned it a while back too. His goal is to split the first book into two movies but end up making the first two books as four films. Which would be mind-blowing. I LOVED the book series. And even though the film (with Kyle MacLachlan) had its flaws, I enjoyed it. I don't usually embrace re-makes, but I'm interested in this one. I LOVED the book series. Until his son took over. But yeah. I liked the mini-series more than the movie I think. It was a little closer to the source material. And yes, I knew who it was. Just seeing Skarsgard as Baron Harkonnen. Oh my word. That's just perfection. And then Rampling as Mohiam? They still haven't cast Gurney, Duncan or Feyd yet. Will be curious as to whom they get for those roles. The book series transcends their genre. Oh my God!!! Brian Hebert was a hack, using his dad's name to sell books. I never read his stuff. And I never will. Charlotte is a GREAT choice, by the way. James McAvoy would be perfect as Feyd. And I'm not being partial when I say that Sebastian Stan would make a great Duncan Idaho. And Daniel Craig as Gurney. Oh my God!!! Brian Hebert was a hack, using his dad's name to sell books. I never read his stuff. I read either two or three, I can't remember. I think I stopped reading the third. They were not good. I thought might have gotten better but didn't. From what I've read they never did. Sad. James McAvoy would be perfect as Feyd. I'd like someone a little younger, he was just a kid, but McAvoy could do a lot with the role. And I'm not being partial when I say that Sebastian Stan would make a great Duncan Idaho. Oh. Oh. Yes. Oh yes. They need to do that. Oh that is a great idea. Yes, I forgot that Feyd was younger. 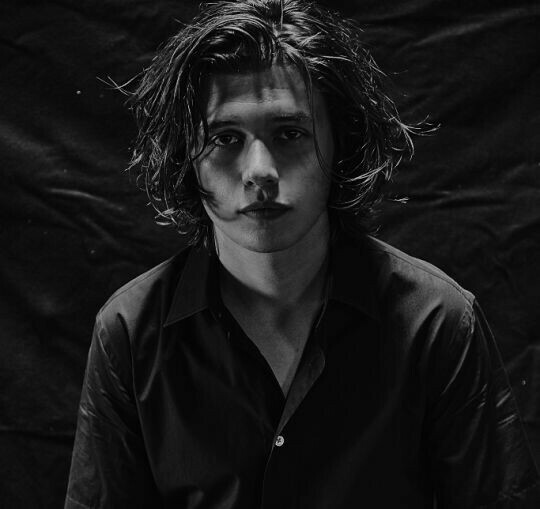 How about Nick Robinson? He can actually act, and has a great range for someone his age. He definitely has the look for Feyd. EDIT: I just remembered that James MacAvoy WAS in the mini-series. 😅 Maybe he could play Chani's dad, now that he's older. Holy cow. That does look like Feyd. He would be a good compliment to Dave Bautista's Beast. He'd be perfect. I really like Nick. The one on the right looks like a Twilight has been. My dream job would be in casting. Or directing. Either one. Sheeeit. Yeah. He does. Great. Maybe it'll draw some fangirl audience. Liar. You just want to get Sebastian Stan on the casting couch is all. Don't think your motives are not known. Josh Brolin is in talks now. They postulate that he, if signed, will be playing Gurney Halleck. Did you see him in Men in Black: 3? He was brilliant as a younger Agent K! He really, really nailed it. I did see him in MiB3. He was pretty much the only good thing about it. He DEFINITELY channelled Tommy Lee Jones...the voice, mannerisms; Very, very impressive. Jason Momoa is now in negotiations to play Duncan Idaho. What the hell is up with this cast? @Bluebird I am not in love with the casting of the role, but damn, they really are going for an all-star cast.